Compare: AIS to the “BIG” brands. 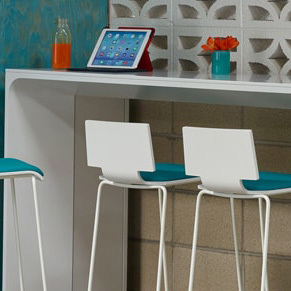 Discover the differences between AIS (our brand), SteelCase and Knoll. Connecting Elements isn't just another commercial interiors provider. We support businesses across the southeast US as your all-in-one interiors provider. We provide product selection and purchase, office space planning and design strategies, project management, in-house customs, and award-winning installation and relocation services. Our unique Triple Guarantee lets you know how serious we are about taking care of you and your work space. 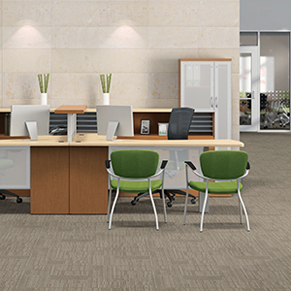 Whether you’re looking to put together just a few workstations or need furnishings for multiple locations across the country, Connecting Elements is the partner you can trust to make your offices work. 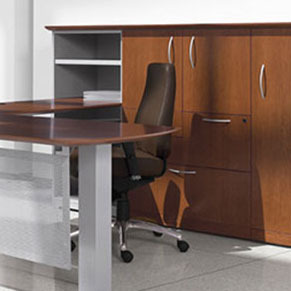 We help you select the right office furniture - furniture that’s durable, aesthetically pleasing, and within budget. Plan and design your commercial interiors to create a harmonious environment that maximizes productivity within your office. Eliminate the chaos associated with scheduling, coordinating and relocating your office. As an architect, you need a partner who knows the ins and outs of the latest design trends in commercial space planning. Someone you can depend on to help make your vision a reality. Our in-house experienced commercial interior design and space planning team can put together a plan that takes your design all the way through to the end. And we don’t forget those finishing touches. With over 250 relationships with non-aligned manufacturers, we can procure the highest quality product options. When you combine our procurement resources, stellar service, and personalized attention you’ll experience a relationship that’s hard to get with closed line representatives. 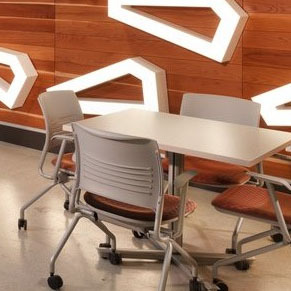 There’s no doubt about it - commercial interior designers have a lot on their plates. They put utmost priority in presenting an amazing finished product to their clients, on time and on budget. Our in-house design, space planning, procurement and installation teams can handle all the details of your project. We put together budget plans, professionally install the furnishings, and handle the footwork of getting products ordered and discrepancies resolved. We also suggest possible alternatives to closed-line brands and help you find the non-aligned manufacturers that offer comparable, or even superior, options to those furnishings. Whether you’re putting together a design for educational facilities, hospitality, healthcare, or any type of facility, we have the tools to take care of you and your client. The corporate business environment is constantly changing. With a fluid employee base, tight timelines, and even tighter budgets, it’s important to show you the best options for your business right from the start. Our experience has taught us the right questions to ask from the beginning: What budget do we need to stick to? What’s your deadline for having everything in place? How much growth do you expect over the next decade? We know how important it is to group the right departments together and reinforce your branding. We can offer solutions to privacy needs, ever-increasing office noise, commuting and floating staff, and employees with special needs. We even handle any service issues after the big installation, keeping you from wasting time and resources to find someone to handle that stuck drawer or lost cabinet key. 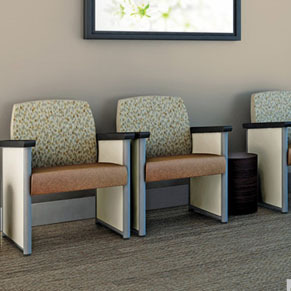 The healthcare environment comes with an endless set of challenges in interior space design. You need products with materials that meet stringent healthcare and safety codes. Those codes are frequently changing, so your commercial interiors partner needs to be well-read on the latest safety requirements. Behavioral clinics have a particularly keen need for strong and safe furnishings that don’t come apart, don’t have any sharp edges, can’t be moved around easily, and aren’t easily damaged. Laboratory environments are looking for antimicrobial surfaces that are extremely easy to clean and germ free. Physicians’ offices need durable furniture with designs that comfort their patients from the moment they walk into the lobby. Pediatric clinics look for products designed for small patients with curious hands. Those that come in cheerful colors, are antibacterial, durable, and easy to wipe clean are preferable. Hospitals and large medical facilities have their own unique set of furniture requirements, often utilizing everything from adjustable wheeled beds to hospital reception furniture that makes it easy for family members to feel comforted and get some rest. 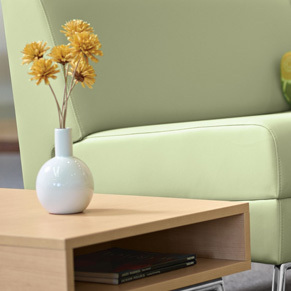 As a healthcare facility, you’re most likely hoping to find a commercial furniture guru who is well-versed in all of these needs, and who will be responsive and caring to what you’re trying to accomplish. Early childhood, university, secondary school, library, science lab, art lab, cafeteria, theater: All of these are types of educational facilities and departments. Each one has its own unique needs, but they all have one thing in common: They need to consider how the youthful mind thinks in order to provide the very best learning environment. Some makers of educational furniture are experts at designing for the youthful mind and body, and some aren’t. You need durability, cleanability, positivity, safety, and yes...mobility. 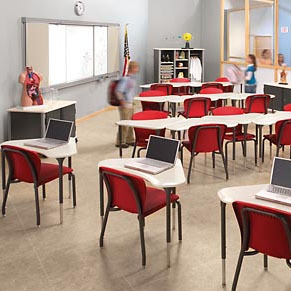 The space plan and furniture needs to seamlessly work with students and teachers, instead of getting in their way. Which manufacturers make the most durable and mobile products that fit your budget? Which manufacturers are a part of your purchasing groups? What about specialty items like antimicrobial science lab tables, sinks, and hoods? Or art lab items such as large tables, kilns, and potters’ stools? We can recommend the most reliable brands and efficient designs, and then put together a visual scheme for your educational facilities that just might make your students look forward to coming to class. Government offices at any level, be it district courts, police departments, transportation authorities, or military facilities, all have strict guidelines on what to buy and how to purchase it. Utilizing public resources, state contract programs, and GSA buying plans is a major factor in how they decide to furnish and design their spaces. We have relationships with countless NC and SC State Contract and GSA approved manufacturers, and are members of several government purchasing programs. 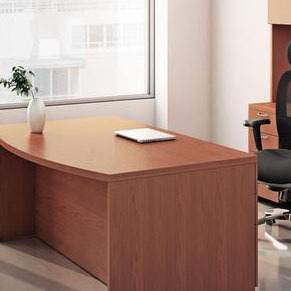 Whether you need specialty furniture for police academies, or tables for a tax office, we’ve got you covered. When you’re in the business of hospitality, providing an environment that imparts a warm and happy feeling for your guests is one of your top priorities. The layout and furnishings of your reception areas, lounges, and guest rooms are essential to creating an experience that your guest can’t wait to return to again and again. What’s more, it’s a major asset to work with an interior design and sales team versed in durable commercial grade furniture and relaxing color schemes, all while keeping safety and cleanability in mind. When your budget is tight, timelines matter and fire codes are critical, we can lessen the pressure by creating a furniture plan that provides guest with a warm, cohesive, pleasurable experience. Not to mention, we’ll deliver on time, within budget and to code. Design and architecture at technology-based businesses are always riding the front end of cutting edge. You need a commercial interiors partner that knows what’s coming next, and can make sure your space plan and furniture is ahead of the game. You have tight timelines and a bustling staff, rarely spending much time in the same place. Sit to stand tables and chairs, break out areas, and standalone rooms come together to create clean work areas with layouts like a home. Modular, movable units that are wired and changeable along with easily reconfigured privacy panels help you to be ready for what’s next. We’ve got the skills to put it all together for you.